We help you to manage the health of your IT infrastructure and continuous delivery pipeline. Our experts take care of Incident Management, Change Management, Problem Management and Release Management along with defining the governance framework. We are also second to none in Creating Replica Environment and Performance Optimization. 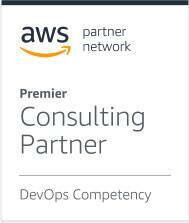 The AWS Competency Program is designed to highlight competencies of APN partner. We have in-depth expertise in AWS managed services and proud to be one of the few audited AWS MSP partners. With 100+ AWS DevOps implementations, we have also proudly attained AWS DevOps competency. Comprehensive managed services suite covering AWS, Linux and a host of other technologies. TO THE NEW is a world-leader in managed hosting with expertise in security, microservices, containers, web content management, product engineering and cloud. Our team has a complete understanding of disaster recovery and IT modernization. We offer a wide range of choice between private, public and hybrid cloud platforms, along with dedicated hosting partnering with Amazon Web Services, Alibaba Cloud and many others. TO THE NEW delivers robust infrastructure with industry-leading SLAs promising 100% Network Uptime. Looking for a Managed Services partner?